How many times have you found your mobile phone not working properly? Well, if you are like the rest of the population then your answer is probably along the lines of all the time. Let's be honest when our mobile phones are not working properly we will usually go to see some technology technician to fix the phone for us. The problem with this is that, depending on the type of problem that is associated with the mobile, a technician can charge you a great of money. Whether you are casually in the bathroom and suddenly you drop your phone in the toilet or you are walking outside on a rainy day and you drop your phone in a puddle, phone in water can happen at any time. Before you have to go all the way to an expert to get your phone fixed or for them to tell you that your phone is unfixable, there is a simple trick to work around this sudden disaster. To fix your phone, if soaked in water, all you need is a bowl of uncooked rice. For this to work you have to place your phone immediately into the bowl of rice straight after your phone has been covered in water. You will drop your phone into the boiled rice; the rice has to cover the phone from top to bottom for this trick to work. For the rice to drain, completely, all the water in your phone, it is best if you leave your phone in the uncooked rice for approximately twenty-four hours. If it is possible, you will get the best results if you leave the phone in the rice for around forty-eight hours. Overall, this is an excellent way to repair your mobile phone by yourself without having to spend quite a large amount of money on a phone technician. What do you do when your phone freezes? You are casually just surfing the internet on your mobile phone, and suddenly your phone becomes stuck on the same screen. What this means is that no matter what you want to do on your phone you are not able to as your phone is constantly stuck on the same screen. Now, before you go running to the nearest phone repair store, there is a simple solution for this mobile phone issue and it will only take you a couple of seconds for you to complete it. It is important to note this tip always has the best results for iPhone owners regardless of the generation the phone. What you do is hold down both the home button and the power button until your mobile phone turns off. Once you turn your mobile phone back on, again, your phone will be back to normal. Overall, this is an excellent way to stop your phone from becoming frozen, and it only takes a few seconds. By far the best part of this method is that there is no need to pay anyone to do this for you as you can simply do it yourself. What do you do when your phone is not charging? How often have you been charging your phone with a phone charger to find that your phone has not charged at all? If you cannot understand why your phone has not charged because your phone charger is not broken, the problem narrows to your phone. The most common reason to why a phone will not charge on a working charger is the charging slot on the phone is dusty. To fix this problem all you need to do is blow into the charging slot to remove all the dust and the phone should charge well. 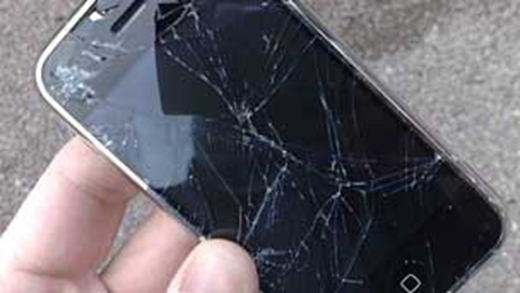 The bottom line is that this is an excellent phone repair method to complete, on your own, at no cost.